In the press, lately is the debate over vaccinating our pets. The incidence of documented rabies cases in wildlife close to populated areas brings concerns. As certain pet-owning populations strive to minimize vaccines, we need to review the value and risk of vaccines. A similar movement occurred years ago with children when vaccines were thought to play a role in the development of autism. The GOOD is vaccines prevent highly infectious diseases from spreading among the unvaccinated population. Distemper — a potentially fatal respiratory and intestinal virus, feline leukemia virus causing immune system malfunction, and rabies are great examples of diseases that are much less prevalent because of good vaccine protocols and practice in our pets. Other diseases for which we vaccinate cause morbidity (illness) but not necessarily mortality (death). Such diseases include leptospirosis, feline herpes, calici and rhino tracheitis viruses, and bordetella (kennel cough). In high-density pet areas such as kennels and daycare, these vaccines reduce risk of disease more likely to occur because of the population density we create. The BAD is that any vaccine is a stimulation of the immune system — good in that we want the memory cells of the immune system to immediately recognize the protein of a virus or bacteria so that when the “real thing” comes along it is contained and destroyed. Sometimes the immune system over reacts to the stimulus of a vaccines and the pendulum swings too far — the immune system is triggered to create antibodies against part of the “self.” Examples include auto immune disorders such as immune mediated polyarthritis and immune mediated hemolytic anemia where the joints and red cells respectively become the target of an over reactive immune system. These diseases can also be life threatening particularly if destruction of the red cells is greater than production and life-threatening anemia occurs. Treatment for these diseases involved strong suppression of the immune system to stop the abnormal antibody formation. Many years ago, cats were developing a cancer called fibrosarcoma which developed at the site of vaccine administration. The theory is the local stimulus of the vaccine adjuvant created over reactive fibrocytes (connective tissue cells) which mutated to an aggressive cancer that sends tendrils into the body resulting in life threatening illness. The UGLY is that there is no clear answer of what the best will be for each pet. The AVMA has guidelines for vaccine use that are even controversial in our own profession. 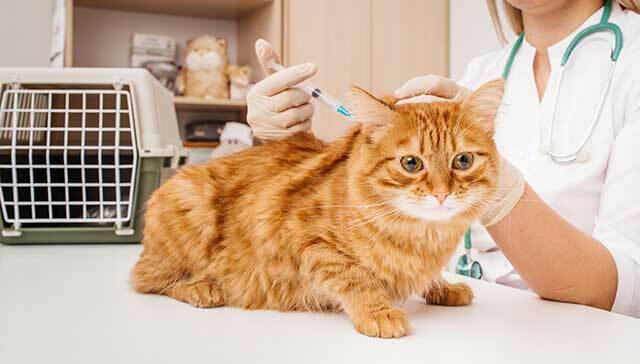 Where vaccines are given has also been standardized with feline Leukemia in the left rear leg, rabies in the right rear leg and other specific recommendation so any localized reaction can be determined and monitoring in a vaccine site. Some choose to vaccinate through the puppy series then follow the guidelines to age 5 or so. After that the use of titers to determine if an animal has adequate immunity to a disease can be measured, rather than introducing a protein to stimulate the immune system when it is not needed. Some will vaccinate to the age of 10 years. If an animal has cancer or a misfire of the immune system like auto immune disease, then vaccines are often not recommended for those pets. Advocacy for our pets is one of the many responsibilities we embrace when they join our family. Understanding where the health risks and benefits are for our particular pets is part of being a good advocate. If in doubt discuss this with your veterinarian for your particular pet at their age and with respect to their health status. Older PostCanine Influenza – Are my dogs at risk?